We offer a variety of soils and soil amendments. 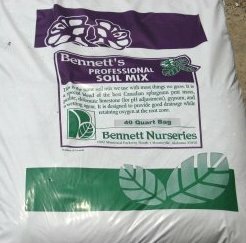 "Bennett Garden Blend" is our most popular, consisting mainly of peat moss, composting bark, and perlite. If you are planting shrubs and trees in your landscape, we can suggest soil amendments that can give your new plants a great start. 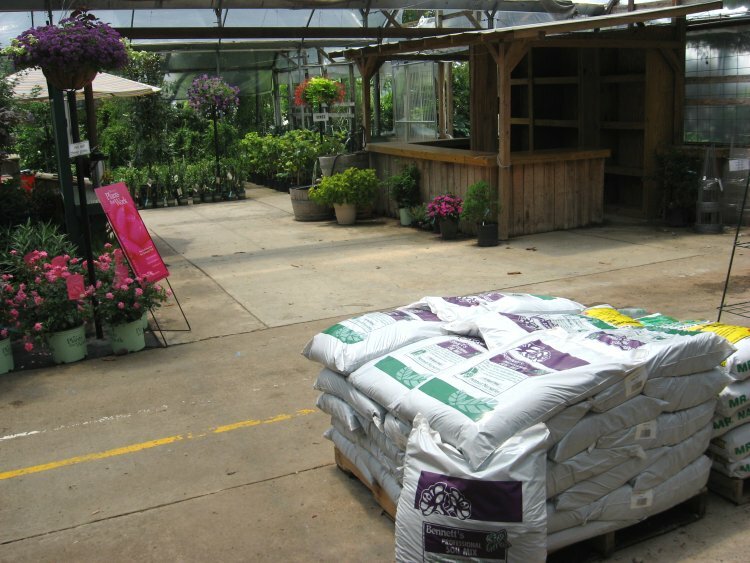 Our offerings include worm castings, hen manure, Permatil expanded slate, or bark soil conditioner. We depend on growing plants successfully to earn our living, and we depend on our potting soil to make our plants grow to the best of their potential. We can guide you in choosing the best blend for your needs.